WASHINGTON — Virgin Galactic’s second SpaceShipTwo set new speed and altitude records on its third powered test flight July 26, bringing the suborbital vehicle one step closer to reaching space. The vehicle, named VSS Unity, separated from its WhiteKnightTwo carrier aircraft at approximately 12:45 p.m. Eastern, an hour after taking off from Mojave Air and Space Port in California. The spaceplane’s hybrid rocket motor ignited for a 42-second burn, sending it into the upper atmosphere before gliding back to a runway landing in Mojave. 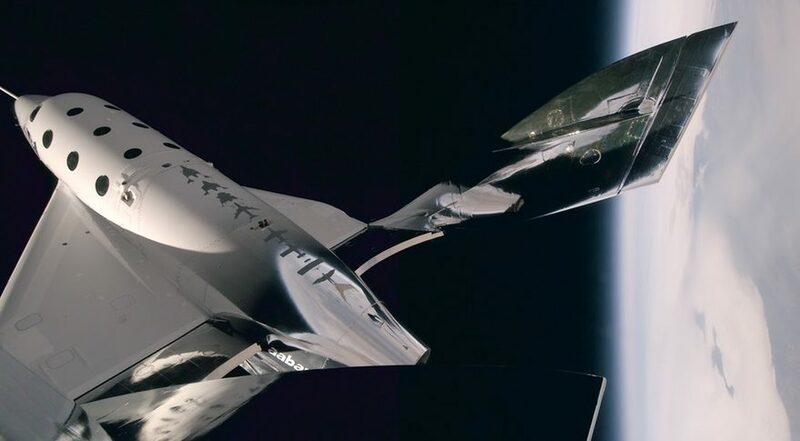 The engine burn, the longest to date during the SpaceShipTwo test program, propelled the vehicle to new speed and altitude records. It flew at a top speed of Mach 2.47 during ascent and Mach 1.7 during reentry, and achieved a peak altitude of 52 kilometers during the flight. “It’s higher and faster than we’ve gone before. Another good incremental step,” George Whitesides, chief executive of Virgin Galactic, said in a phone interview after the flight. Whitesides said that while it appeared to be a good test flight, engineers would have to look at the data to confirm SpaceShipTwo’s performance and plan the next test flight. “We’ll let the engineers say when they’re ready to fly,” he said. This flight brings the Virgin Galactic a step closer to a full-duration burn of the hybrid engine, lasting about 60 seconds, which would send SpaceShipTwo to the edge of space. “We’re getting pretty close now,” he said, but didn’t state when such a flight might take place. The motor on this test burned 11 seconds longer than the previous test May 29, but Whitesides said the next test could extend the burn by more or less than that, including flying a profile similar to this one if engineers concluded they needed additional data on a particular issue. As Virgin Galactic continues test flights of SpaceShipTwo, it’s making other preparations for the eventual entry of the vehicle into commercial service. The company is getting the “staff side” and “customer side” portions of its facilities at Spaceport America in New Mexico completed. In Mojave, Virgin Galactic’s sister company, The Spaceship Company, is currently building two more SpaceShipTwo vehicles and working to scale up production of its hybrid rocket motors in anticipation of more frequent commercial flights. “Now that we’ve built a rocket motor that works, how do we build it more efficiently, and how do we build them more quickly?” he said. Whitesides said that there’s been growing customer interest in SpaceShipTwo as the VSS Unity goes through its powered test flight campaign. The company, though, is not actively selling tickets at the moment. “We’re focused on taking care of our current customers,” he said.